1. Doors open 7.30pm, Show starts 8pm. 2. Additional fees may be charged by some credit cards & banks which may result in the amount you see on your card bill being higher than the amount charged. Please check with your vendor as these are not imposed by Ticketflap. 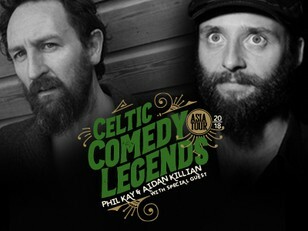 Celtic Comedy Legends, is a duo’s split comedy show described by The Australia Times as "Nothing short of genius" ★★★★★. Irishman, Aidan Killian teams up with the hyperactive Scotsman, Phil Kay. Both of them present individual material but they compliment each other wonderfully in this truly legendary mix. 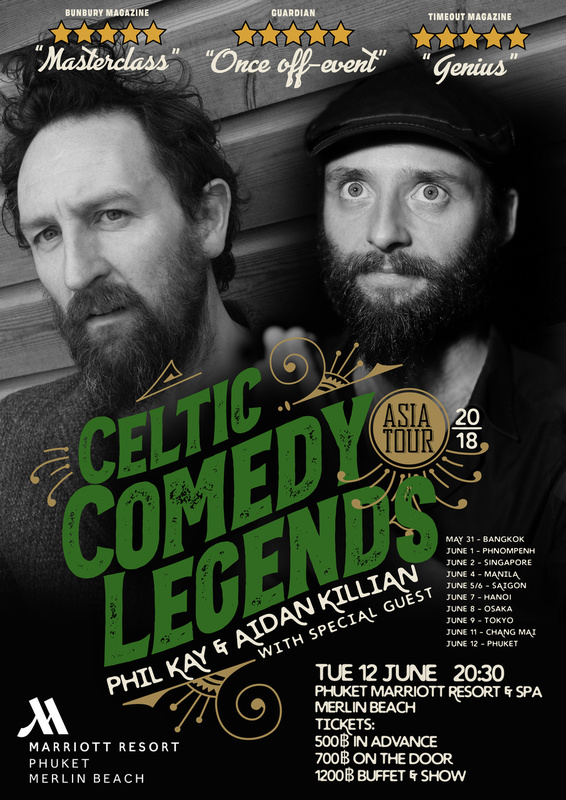 Scottish multi-award winning comedy super star, Phil Kay is coming to Asia. He won BBC's Best British Standup award and Edinburgh's 'So You Think You're Funny' award recently he was nominated for best comedy show for the world Fringe in 2017. He is wild, chaotic, loose and free. He is Scottish and hairy and he bathes his audiences in a waterfall of comic positivity. Aidan Killian is one of the most daring, original and thought-provoking comedians Ireland has ever produced, “Master class in satire” - Bunbury Magazine ★★★★★. He has performed his unique, insightful comedy style for 7 Edinburgh Fringes and was a ‘highlight’ at Glastonbury Festival 2017. His sow was nominated for best comedian at The World Fringe and described as “Deliciously subversive” - The Advertiser (Australia) ★★★★ while in Edinburgh the critics wrote, “Hysterical... Passionate driven intelligence” - Chortle ★★★★. Get your tickets now for one of the funniest shows of all time.